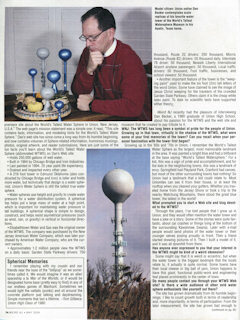 Whoops, I nearly forgot to mention that the latest issue of Weird N.J. (#32) has a nice article on the World’s Tallest Water Sphere. Not only do they have wonderful color photos of the WTWS that you can carry conveniently on your next safari in Bostwana, you also get a colorful shot of the WTWS web master in full WTWS professor costume. It even has a glimpse of some of the fine models you can view when you visit the WTWS Museum in Austin, Texas. On sale at newsstands everywhere from now until October, 2009. 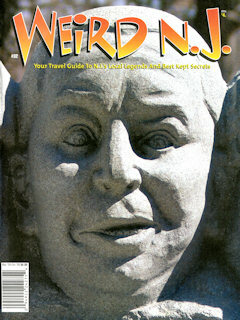 Please patronize this fine magazine and the many wonderful New Jersey topics they cover. 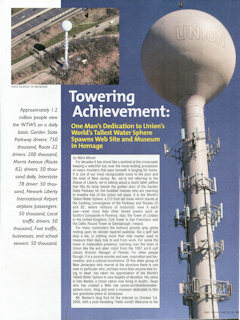 This entry was posted on Monday, June 15th, 2009 at 6:36 pm	and is filed under Editorial, Fun Facts, Photos. You can follow any responses to this entry through the RSS 2.0 feed. Both comments and pings are currently closed.